If one pays attention to the way things have always been in the painting field, I think it’s just as Oriana Fallaci once said, “Listen: if I am a painter and I do your portrait, have I or haven’t I the right to paint you as I want?” I mean, portraits are not as much a matter of objectivity—which has very little to do with truth, as far as my philosophical understanding of this whole thing goes—but of insight, intuition and inspiration. That’s also why it’s common sense that a great portrait is very often (if not always) much more a portrait of the painter rather than of the subject. And this is how the art of portraiture is doubly individualistic: first in regard to the subject; and second with regard to the artist. 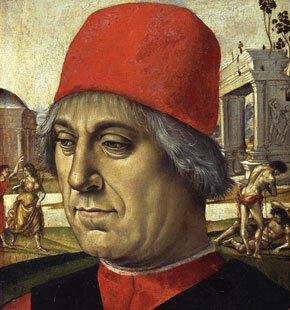 It’s no surprise, then, if portraiture is one of the most typical expressions of the age of the Renaissance, that is to say the period in which, in accordance with the cliché (but a well-founded one), the “individual” came into being—and at any rate, the emergence in 15th-century Italy of the personal portrait as a distinct and polyvalent art form is indisputable and undisputed. With this being said, here is the point of this post. The Staatliche Museen zu Berlin and the Metropolitan Museum of Art, New York, have partnered to organize a landmark project tracing the development of the Italian portrait in the fifteenth century. The exhibition, titled “Renaissance Faces - Masterpieces of Italian Portraiture” (Gesichter der Renaissance - Meisterwerke Italienischer Portrait-Kunst), started on August 25 at the Bode Museum in Berlin and runs through November 20. After which the show is due to travel to the Metropolitan Museum of Art in New York (December21, 2011 through March 18, 2012). 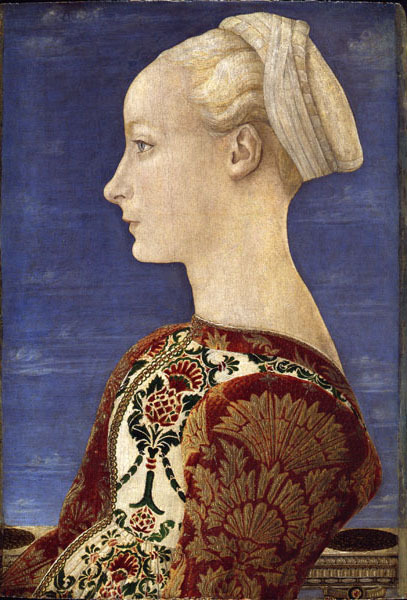 The exhibition—with some 150 works, from 50 great museums, by more than 40 masters of the early Renaissance—takes the visitors from the beginnings of portraiture in Florence and details its spread and stylistic developments in the courts of Ferrara, Mantua, Bologna, Milan, Urbino, Naples, papal Rome, and finally in Venice, where only late in the century a portrait tradition established itself. 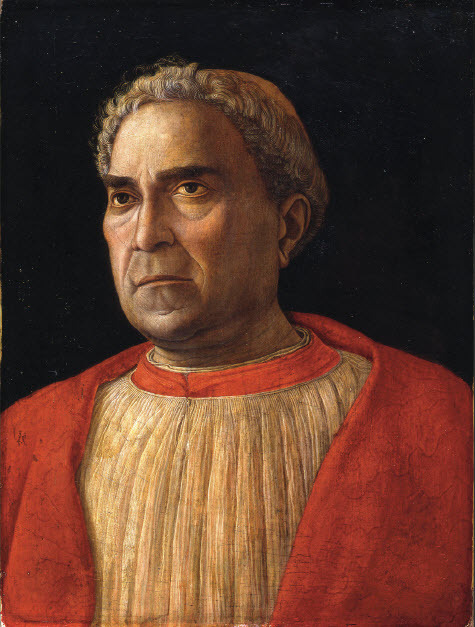 The works on display are by the most important artists of the period: Donatello, Filippo Lippi, Botticelli, Pisanello, Verrocchio, Ghirlandaio, Mantegna, Masaccio, Giovanni Bellini, Antonello da Messina, to mention only a few names. In short, as far as I can tell, whether you are currently in Berlin, or will be in New York from December 21 to March 18, this exhibition is a must see.